First Appearance: Silver Surfer (vol. 3) #32 (Mid-Dec. 1989): "A Choice of Dooms"
The Aedians are an extremely benevolent race. The Silver Surfer was suffering from a terrible (Hlavac's Disease, inflicted by Mephisto), the Aedians offered to sacrifice themselves and their planet to save him, in light of his many good accomplishments across the galaxy. The Silver Surfer considered their gesture and for a time appeared to be planning to accept, but ultimately he turned down their sacrifice and managed to cure himself another way. The Aedians were apparently very empathic and spiritually sensitive. 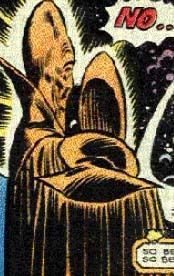 They were able to sense the Silver Surfer's suffering when he was near their planet, being goaded by the devil Mephisto. The planet Aedi appeared to be essentially like Earth. 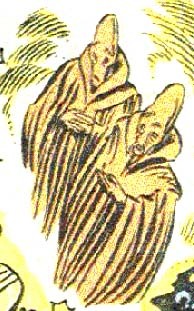 The Aedians, although basically humanoid, were clearly alien. Silver Surfer (vol. 3) #32 (Mid-Dec. 1989): "A Choice of Dooms"